Nov. 23 - Dec. 22, including Nov. 29, the Friday after Thanksgiving! What: The Great Dickens Christmas Fair is a one-of-a-kind holiday adventure into Victorian London - an elaborate party with hundreds of costumed players performing and interacting with patrons in over 120,000 square feet of theatrically-lit music halls, pubs, dance floors, and Christmas shops. It's a twilight evening in Charles Dickens' London Town - a city of winding lanes filled with colorful characters from both literature and history. Enticing aromas of roasted chestnuts and hearty foods fill the air. Cries of street vendors hawking their wares ring out above the bustling crowd. Dozens of lamplit shops are filled to overflowing with Christmas gifts. The Dickens Christmas Fair is a treasured Bay Area tradition since 1970 and a splendid way to celebrate the holidays. Who: Brought to you by Red Barn Productions and the Patterson Family, who created and directed the popular Renaissance Pleasure Faire at Black Point in Marin for 25 years. Online "print-at-home" tickets, and season passes, will be available online beginning in early September (be sure you are on our mailing list for early notification!). To ensure the comfort of all our guests, we will be limiting the number of tickets available for each day of the Fair. 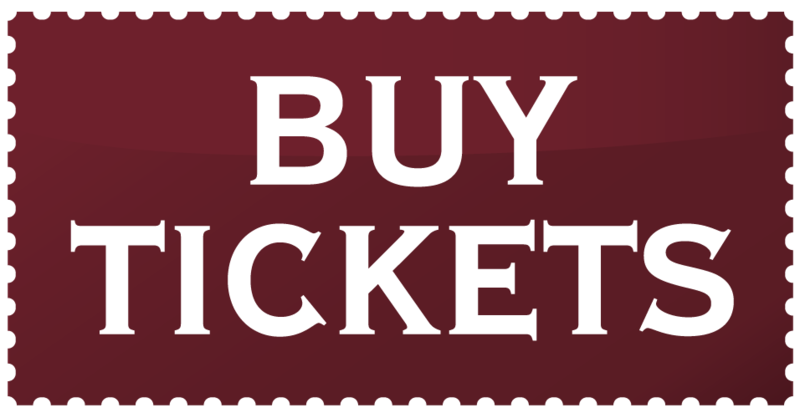 Online tickets are 'Select Day' and must be purchased for the actual day you wish to attend. During the run of Fair, tickets and season passes may also be purchased at the Fair Box Office. Parking: $12.00 (charged by the Cow Palace). To park, use the main Cow Palace entrance at 2600 Geneva Ave., and park as directed by the Cow Palace staff. If you have a handicapped placard, both the Gate 5 entrance and the Main Entrance offer handicapped parking. Public Transport: Ride BART to London! Take BART or Muni to the Glen Park BART Station, then board the convenient, free Courtesy Shuttle traveling to and from the Glen Park BART station every 20-30 minutes (traffic permitting) from 9:00 AM to 8:00 PM each Fair day. Accessibility and Parking Shuttle: The Fair is handicapped-accessible. Wheelchairs are available for rental at the Cloak Check inside the Fair for $10.00 per half day (4 hours) or $20.00 per full day (4+ hours) on a first-come, first-served basis. There is a wheelchair-accessible shuttle from the main Cow Palace parking lot which makes multiple stops including the Handicap parking area. Parking Shuttles make constant loops during event hours and drop off and pick up at the entrance to the Fair. You may also drop off your party at the Fair entrance, lower level. Please inquire with any parking attendant. Costumes: Victorian costumes are encouraged but certainly not required for our patrons. Please feel free to 'come as you are' to enjoy your adventure into Dickens' London. The Public and Participant Costume Guidelines provided on this website are primarily intended for Participants (performers & vendors) of the event. If you are a guest, please enjoy the costume information on this site as a resource to help you get into the spirit and play along at any level you wish. Even a hat or bonnet will make you feel like you are stepping back in time with us! Special note: please do not come dressed as Father Christmas, Ebeneezer Scrooge, or other principal characters from Dickens' works. Please see our public costume policy for more information. Entertainment: Continuous performances on seven stages and in the streets feature lively and colorful characters from Dickens' London. 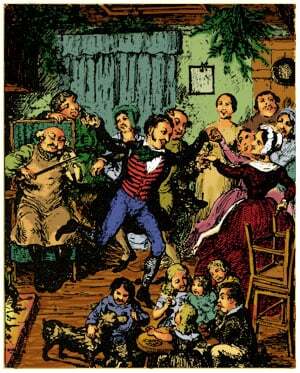 Enjoy holiday games and festive dance in Fezziwig's Warehouse, boisterous music hall offerings in Mad Sal's Dockside Alehouse, and the engaging antics and adventures of such characters as London's chimney sweeps, Ebenezer Scrooge, Bob Cratchit, Tiny Tim, that evil genius Fagin, and a horde of other colorful characters. Especially For Children: Punch and Judy puppet shows, Victorian fairies, Father Christmas, and interactive theatrical performances; games and holiday activities; Victorian arts and crafts. Food & Drink: Gourmet chefs offer delicious foods from around the world, including English bangers and fish 'n' chips, exotic Greek delicacies, French onion soup, and enticing desserts. Five authentic pubs offer Craft Ales from local breweries to satisfy the heartiest thirst. A wide selection of fine wines and champagne is available by the glass. Shopping: Visit the shops of London to find one-of-a-kind treasures, Victorian reproductions, fine art, romantic clothing, glittering pewter, and dazzling jewelry. Complete your holiday shopping or discover the perfect dress for that New Year's Eve party. Shopkeepers will welcome you, share a story or two, and send you on your way (hopefully laden with packages) with a hearty "Happy Christmas." Prepare for the Fair: Get into the spirit with our recommendations for movie classics, books, & videos. Re-Entry: Visitors to the fair may leave and re-enter by receiving a hand stamp upon exit. Pets: Except for service animals, the Dickens Christmas Fair does not allow animals inside the venue. Smoking: The Cow Palace is a non-smoking facility. Lodging: For those of you traveling to the Fair, please visit our preferred hotels & accommodations page. Support the Cow Palace: The Cow Palace is a valuable community and cultural asset for the Bay Area and the State. It is also essential to the quality presentation of The Dickens Christmas Fair with its Historic Exhibition Halls reminiscent of Covent Garden in London. Show your support by attending the other great shows at the Cow Palace, such as the Grand National Rodeo and The Golden Gate Kennel Club Dog Show, and join http://www.cowpalace.com for email updates of all Cow Palace events.